• To create a new calendar, click the green Add New Calendar button on the top right of the pre-order home screen. • In the Calendar Name, enter a name. 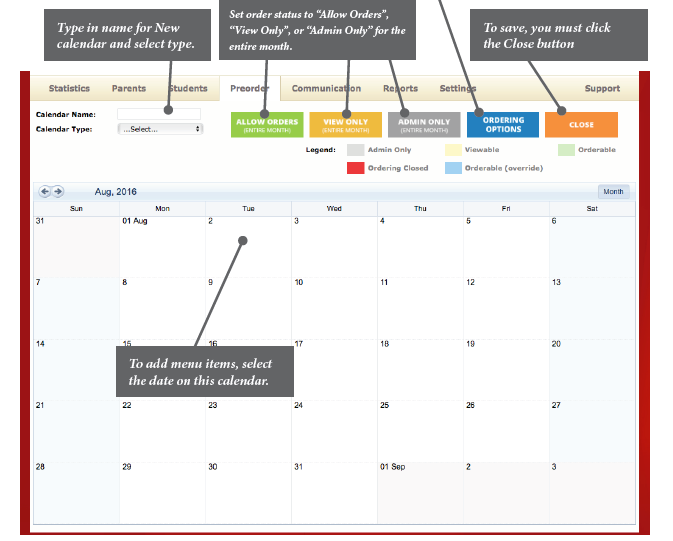 • Select a type from Calendar Type dropdown.